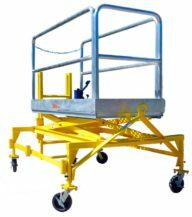 This windshield maintenance stand services aircraft windshields from a height of 10 to 19 feet (3.05 to 5.8 meters). 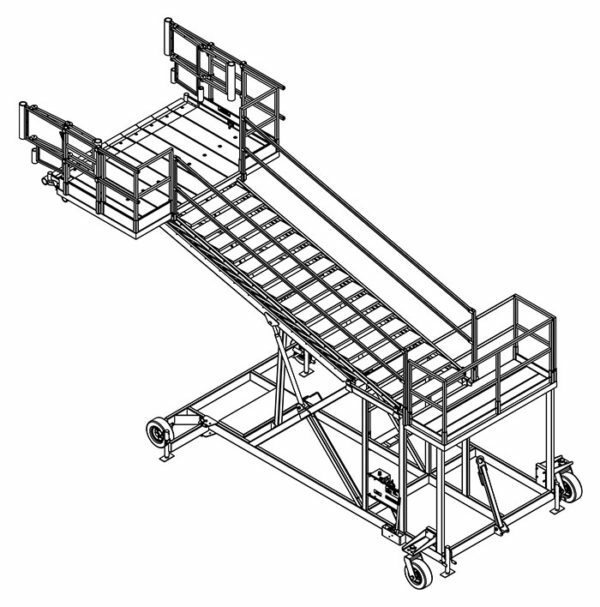 This towable stand features an integrated towbar, side stabilizers, heavy-duty locking running gear, and a hydraulic pump to easily raise and lower the stand. 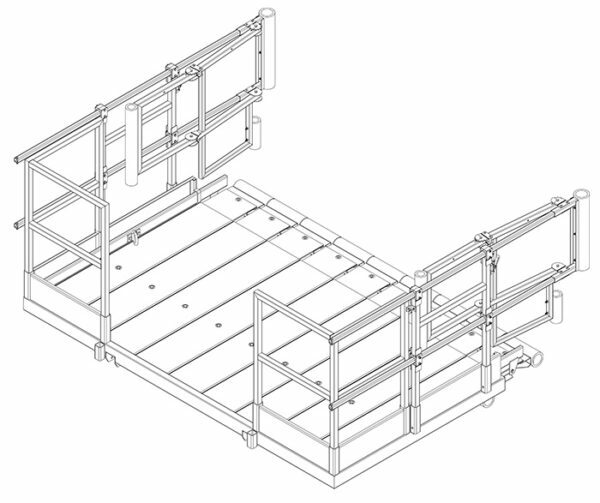 The platform features “fingers” that can be moved individually to wrap around the aircraft fuselage, allowing for a safe and tight fit when servicing aircraft windshields. 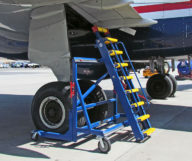 The upper platform features safety railings and rubber bumpers to prevent damage to the aircraft.